How do I disable/uninstall Ponyhoof? 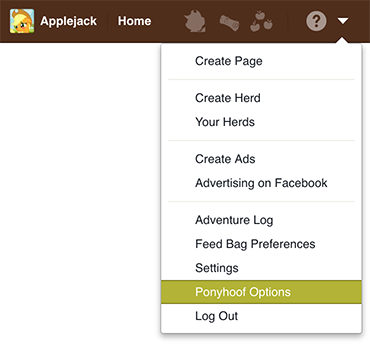 To temporarily disable Ponyhoof, open Ponyhoof Options by clicking the top-right Account menu, click Ponyhoof Options and then click Disable Ponyhoof. To completely remove Ponyhoof from your browser, follow the steps below. Type about:extensions in the address bar and press the Enter key. Find Ponyhoof in the list, then click Remove or the trash can icon. Confirm that you want to uninstall Ponyhoof by clicking Remove. If Ponyhoof is still not uninstalled yet and Tampermonkey is installed, then it may be installed in there. Find Tampermonkey in the list and click Options. Click the trash can icon for Ponyhoof. Confirm that you want to uninstall Ponyhoof by clicking OK.
See instructions for your language. Type about:addons in the address bar and press the Enter key. Go to the Extensions section, find Ponyhoof in the list and click Remove. If Ponyhoof is still not uninstalled yet and Greasemonkey/Scriptish is installed, then it may be installed there. Click the Greasemonkey icon at the top-right of Firefox. If you cannot see the Greasemonkey icon, click the top-right three bars icon (≡) and click Customize. Drag the Greasemonkey icon to your browser toolbar and click Done. Click Ponyhoof in the list and click Uninstall. Go to the User Scripts section, find Ponyhoof in the list and click Remove. Find Ponyhoof in the list and click the remove icon at the top-right. Click the top-left Safari menu and then click Preferences. 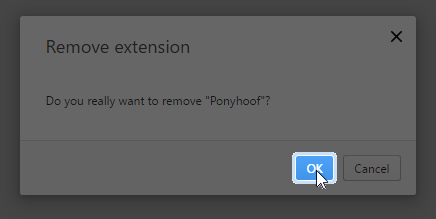 Go to the Extensions tab, click Ponyhoof in the list and click Uninstall. Confirm that you want to uninstall Ponyhoof by clicking Uninstall again. If Ponyhoof is still not uninstalled yet and NinjaKit is installed, then it may be installed in NinjaKit. Click the NinjaKit icon in the browser toolbar. 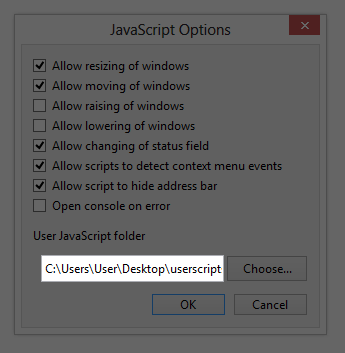 Go to the Scripts tab, click Ponyhoof in the list and click delete this script. Find Ponyhoof in the list and click Delete. 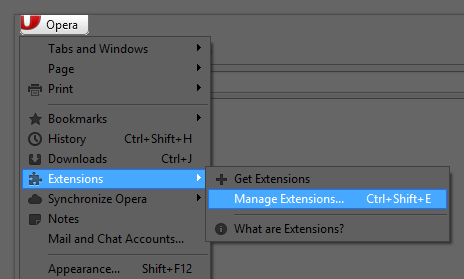 Click the top-left Opera button, Extensions, Manage Extensions. Find Ponyhoof in the list and click Uninstall. 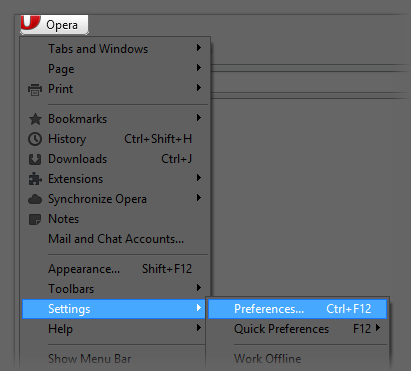 Click the top-left Opera button, Settings, Preferences.